Alemania, 2016. 72 min. Italiano. V.O.S.E. There are many forgotten stories. This is one of them. This story is connected to our poverty and our wealth. To the rise and fall of capitalism. To the benefits of industrialization and the price we all have to pay. And there are forgotten people. Many of them, people like us, have been betrayed and deceived. ‘A Gravame’ is the title of the funeral march which opens the famous Good Friday Procession in the southern Italian town of Taranto. Taranto was once an important Mediterranean city whose huge mussel cultivation dates back to ancient times. The Greeks, the Romans, the Spanish settled here because of the beautiful natural harbour. Today, the inhabitants of Taranto breathe 2.7 tonnes of carbon monoxide and 57, 7 tons of carbon dioxide every year. The dioxin in the air is supposed to be responsible for the high incidence of leukaemia and lymphoma. For the sake of profit, environmental legislation has been ignored for more than 20 years. The company, the city, politicians, the government – they’re all partners in crime. The film blends personal stories with observations from the city in the pre-Easter time. We take part in the orchestra rehearsals and follow the Good Friday procession. 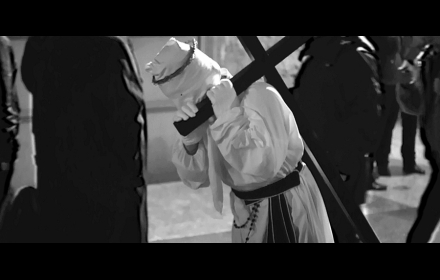 Over the course of 12 hours the procession brings together workers, fishermen, families, widows, lay brothers and musicians to accompany the Mother of God, Our Lady of Sorrows through the night of Taranto. There are political problems we prefer to look away. But we will not come off. There is no way to cheat death. Peter Rippl (born 1961) worked as a screenwriter for television. Since 2005 own documentaries. Irlanda, 2016. 75 min. Inglés. V.O.S.E. El primer documental de Risteard 'The Pipe', debutó en el Festival Internacional de Cine de Toronto. 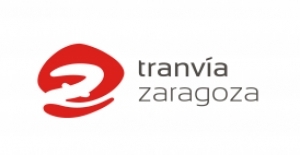 Tras haber obtenido numerosos premios, entre ellos el International Green Award y el CIRCOM Grand Prix, la película ha disfrutado de una exitosa distribución internacional y acuerdos de transmisión asegurada en más de 20 países. Risteard Ó Domhnaill is a director and cameraman based in the West of Ireland, with a degree in Theoretical Physics from Trinity College Dublin and a degree in Irish Language and History from the National University of Ireland, Galway. He is the director of his company Scannáin Inbhear Teo. Risteard’s first feature documentary ‘The Pipe’, debuted at the Toronto International Film Festival. 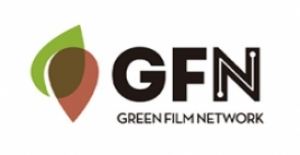 Having picked up numerous awards including the International Green Award and the CIRCOM Grand Prix, the film has enjoyed successful international distribution and secured broadcast deals in over 20 countries. Risteard works as a cameraman on various Irish television productions, including news, live music shows and sports events and works regularly with broadcasters such as Channel 4, BBC Scotland and Al Jazeera English Channel. Francia, 2016. 60 min. Creole.. V.O.S.E. 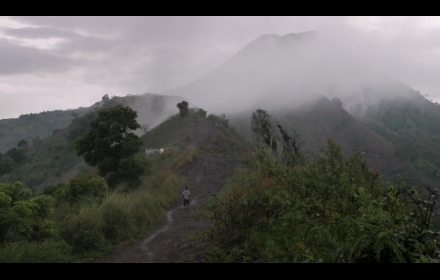 Cahos is an immersive film which brings us into an isolated mountain chain in Haïti. Its inhabitants survive on their crops but face the serious problem of deforestation. Elord and his community are hostages in their own montains. To escape famine they strive to relaunch coffee production but the future remains as sombre as smoke rising from the mountains. Elord, a humble farmer guides us through Cahos, a once lush forest. The film presents the joys and the sorrows of Elord, he tells us with unexpected cheerfulness his own difficulties and contradictions as well as those of a whole country. Born in Strasbourg in 1982, Hervé Roesch graduated in audiovisual technology (University of Liverpool). He works mainly as a cinematographer for documentary and fiction films. "Cahos" is his first film. Francia, 2016. 45 min. Francés. V.O.S.E. Yves and Jane are beekeepers in Cerdagne (south of France). They transmitted their knowledge to Joel, who lives with Marie. 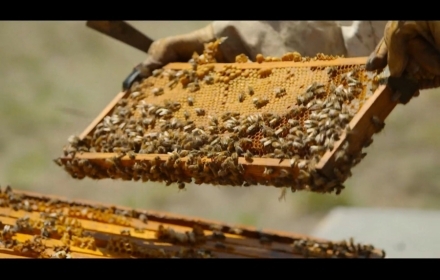 Facing a sick environment, killing their bees, they will each find their own way to resist. Originally from the Pyrenees Orientales, Louise Legaye grew up in contact with nature. She began her film studies at the Louis Lumière School, to become Camera Operator. 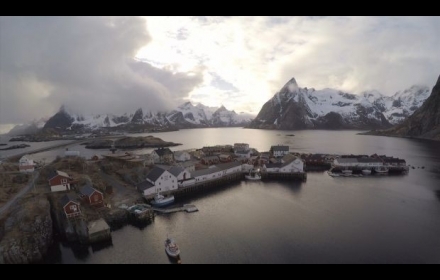 He has written and directed his first documentary, Collé au vent, as an end-of-studies memory, looking for an ecological, committed and poetic cinema. She works as a camera assistant in film studios and takes advantage of her free time for her personal projects. Pedro is a farmer who defends his identity and his dreams; his sister Esther strives for a better future for her daughter as she shares her world through the lens of her small camera. 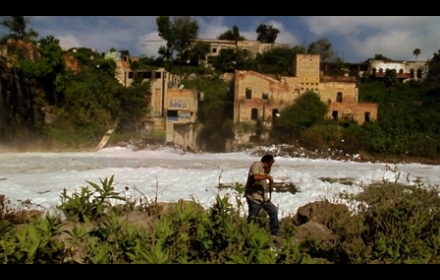 They live in El Remolino, a tiny riverside community in Chiapas, Mexico, which is affected by strong floods every year. To them, life is like a swirl that spins them across the journey of their internal cycles and of the greater natural cycle of the river. Laura Herrero Garín (Toledo, España, 1985). Con estudios de cine e imagen en España, México y Estados Unidos (San Francisco Film Society), Laura llegó a México en 2010 para trabajar como directora, fotógrafa y editora en diferentes proyectos cinematográficos, especialmente documentales. Actualmente es integrante de la asociación audiovisual La Sandía Digital, que trabaja el cine para la reestructuración del tejido social y la defensa de los Derechos Humanos. También forma parte del colectivo de cineastas independientes EmergenciaMX donde, por medio del documental, se intenta mostrar y combatir la violenta realidad de México. Los trabajos de Laura Herrero han sido seleccionados y premiados en diferentes festivales de cine en México y alrededor del mundo. “El Remolino” es su primer largometraje documental como directora. Actualmente se encuentra en la fase de desarrollo de su nuevo largometraje documental, “La Mami” y estudiando un Máster en Cine Documental en Barcelona. Laura Herrero Garín (Toledo, España, 1985). With studies in film and image in Spain, the US (San Francisco Film Society) and Mexico (AMCI), Laura arrived in Mexico in 2010 to devote her full time to making video and film. She has directed, photographed and edited several film projects, especially documentaries. She is currently a member of La Sandia Digital, a women’s association that uses film as a vehicle to restructure the social tissue and advocate for human rights and women’s rights. She is also part of the collective of filmmakers Emergenciamx that documents the Movement for Peace in Mexico and is combatting the war against drugs and violence. 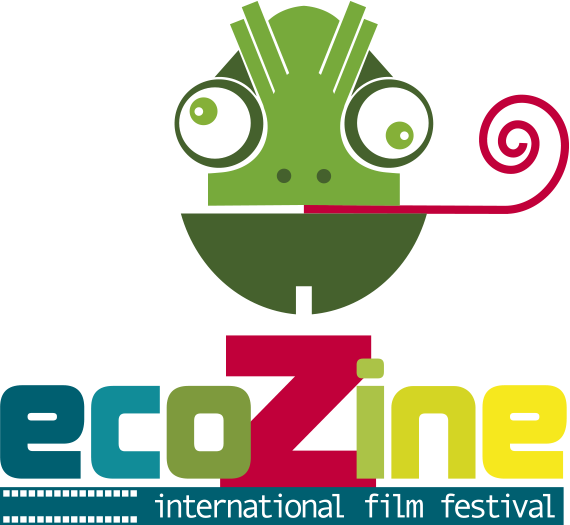 Laura’s works have been selected and awarded in film festivals in Mexico and other countries. Laura is currently developing a new feature-length documentary in Mexico called “La Mami”, on women of Mexico City’s nightlife. El Remolino is Laura’s feature-length documentary debut as a director, and she was also in charge of the photography and script. Chile, 2016. 50 min. Inglés. V.O.S.E. En la cultura asiática, el elefante es un símbolo mitológico de la grandeza, el respeto y la buena suerte, pero en realidad, estos animales están muriendo día tras día por los seres humanos. Los elefantes domesticados se ven obligados a trabajar muy duro, ya sea en la deforestación ilegal o en el turismo, donde son usador como números de circo, o se les obliga a pintar cuadros con sus trompas, pasear a los turistas etc. A pesar de este trágico escenario, hay esperanza. In Asian culture, the elephant is a mythological symbol of greatness, respect and good luck, but in actuality, these animals are dying on a daily basis due to humans. 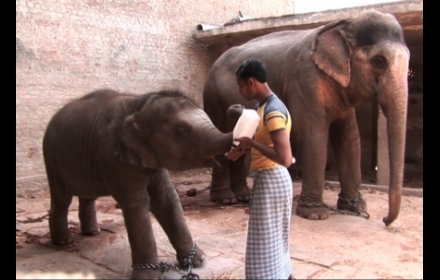 Tamed elephants are forced to work exceedingly hard, either in illegal deforestation or in tourism, where they are made to perform circus stunts, paint with their trunks and carry tourists on heavy mounts, etc. In spite of this tragic scenario, there is hope. María José Martínez-Conde F. es periodista. Ha trabajado para la televisión así como en medios escritos y web. En 2014, con otras 10 mujeres, fundó la emisora en línea LaCENTRAL (www.radiolacentral.cl), donde dirige comunicación y medios sociales. Durante los últimos tres años, ha sido DJ de un programa de radio llamado "Las Tres Marías", que trata sobre tendencias y viajes. María ha participado en talleres sobre guión y escritura de crónicas, y en ocasiones escribe sobre viajes para varios periódicos y revistas. Maria Jose Martinez-Conde F. is a journalist. She has worked in communications for television as well as on written media and the web. In 2014, with 10 other women, Maria founded the on-line radio station LaCENTRAL (www.radiolacentral.cl), where she heads communications and social media. For the past three years, she has been the DJ of a radio show called “Las Tres Marías”, which deals with trends & travels. Maria has participated in workshops on screenwriting and the writing of chronicles, and on occasion writes about travel for various newspapers and magazines. Rodrigo Saez M. studied film in Argentina and Chile. He is a self-taught photographer. He has worked as a cameraman and assistant director on television, and as an editor on institutional videos, commercials and various independent projects. He has collaborated with the international news agency EFE. Rodrigo is strongly committed to social and cultural causes, and is motivated by justice, nature and architecture. Brasil, 2016. 162 min. Guaraní, portugués. V.O.S.E. 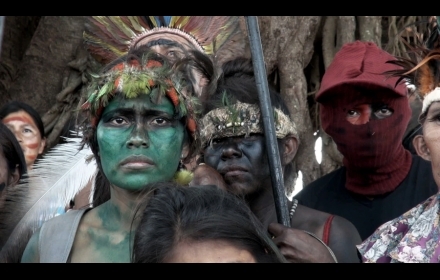 The great reclaiming march for the sacred Guarani Kaiowá territories through Vincent Carelli´s filming, who recorded the birthplace of the movement in the 1980s. Twenty years later, touched by the successive massacres reports, Carelli searches the origins of this genocide, a conflicto of disproportionate forces: the peaceful and obstinate insurgency of the dispossessed Guarani Kaiowá against the porwerful apparatus of agribusiness. Vicent Carelli is filmmaker an indigenist and created in 1986 the Video nas Aldeias Project, an institution that supports the struggles of indigenous peoples to strengthen their identities and their terriorial and cultural heritage though audiovisual resources. Since then, Carelli produced a series of 16 documentaries about the methods and results of this work, which have been shown worldwide. Corumbaria is the firts film of a trilogy in development that brings Carelli´s own testimony of emblematic cases experienced during 40 years of indigenous movement in Brazil. Martirio is the second film of this series. Ernesto de Carvalho is a filmmaker, anthropologist and photographer. For the last 10 years he has been running video workshops among different indigenous communities in Brazil, connected to the Video nas Aldeias Project. Tita is a filmmaker and video editor. Among her major Works as editor are “Avenida Brasilia Formosa” and the short film “As Aventuras de Paulo Bruscky”, both directed by Gabriel Mascaro, “Balsa” by Marcelo Pedroso, and the video installations “O Peixe”, “O Levante”, “4.000 disparos” and “Pacifico”, all directed by Jonathas de Andrade. Since 2009, Ttal actively collaborates with Video nas Aldeias Project. Rusia, 2016. 60 min. Ruso. V.O.S.E. The main characters are fireman, policeman, two employees of nuclear power plants and a nurse. 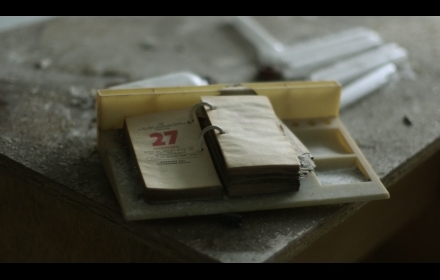 These people, who were living in Pripyat tell us about what they were doing on April 26, 1986, the day when the accident in the 4th reactor occurred and how they left their homes and their past life. These people have met to celebrate the 30th anniversary of the accident at the abandoned streets of their city and share their memories. Ricardo Marquina (Huesca, España, 1979) se gradúa en Historia del Arte pero su interés por el periodismo le mueve a profesionalizarse como foto-reportero y su pasión por la Historia de Europa del Este, le mueve a Rusia. Habla cinco idiomas y ha trabajado para diferentes medios internacionales y nacionales, entre ellos La Sexta, Telecinco, Cuatro, TV3, Cope o TVE. Ha producido y realizado varios proyectos, entre los que destaca su primer documental “Ucrania, el año del caos”. Ha montado su propia productora, IR, In Russia Productions, a través de la cuál produce sus proyectos cinematográficos, entre el que se encuentra “Chernobyl, Evacuación Permanente”, su segundo documental, que cuenta con el interés de medios europeos como Deutsche Welle, AFP, AP, o Caracol TV. Ricardo Marquina (Huesca, Spain, 1979) graduated from the Faculty of History of Art, but his interest in journalism brought him to work as a photojournalist, and his interest in the history of Eastern Europe inspired him to move and to settle down in Russia. He speaks five languages, fluent in Russian. He worked at various international and national TV and radio stations, such as La Sexta, Telecinco, Cuatro, TV3, Cope o TVE. He has implemented several projects, including his first documentary -"Ukraine, one year of chaos." He opened his own company in Russia - «In Russia Productions", where Ricardo works in production of his own film projects, including "Chernobyl, lifetime evacuation". It is his second documentary, in which have showed interest different European medias, such as Deutsche Welle , AFP, AP, Caracol TV. México, 2016. 91 min. Castellano. 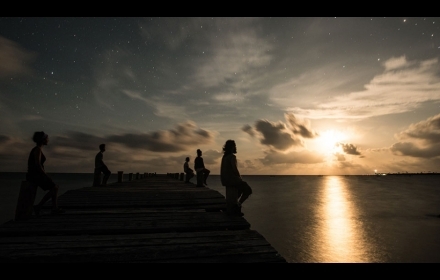 Through the eyes of eight filmmakers Nahui Ollin, sol de movimiento explores several sites in Mexico to reveal how climate change has been advancing in one of the countries with the highest biodiversity globally. Corals, glaciers, seas, mangroves, rivers, mountains, fields and cities have witnessed the advancement of what may represent the greatest threat to human kind in this age. Through the voices of the inhabitants in different parts of the country, we will witness the adaptation as well as the mitigation that is carried out in their communities. The magnificent waterfall of El Salto de Juanacatlan was once known as Mexican Niagara. This paradise disappeared when an industrial corridor was established across the Santiago River of Guadalajara. A cinematographic river of memories and concioussness in the voice of a family who pursue their dream of a return to a clear water time. Eugenio Gregorio Polgovsky Ezcurra (México, DF, 1977) es un director de cine, cine fotógrafo, productor y editor mexicano. Eugenio Polgovsky (Mexico City, 1977) is a filmmaker and visual artist. He works as director, cinematographer, editor, sound designer and producer of his films. Países Bajos, 2016. Camboyano, V.O.S.E. His Excellency Mong Reththy, one of the richest men in the country, built an empire in agricultural production. His large scale production is possible since the Khmer Rouge eradicated all property titles. The two meet. Las películas de Jan van den Berg son, en su mayoría, sobre derechos humanos y medio ambiente, pero también ha dirigido importantes documentales sobre la cultura, como ·El Abrazo· (1990), sobre famosos bailarines de tango de Buenos Aires, y la serie de “Utrecht por el mar” en esa ciudad de artistas. Cuarenta años después de su primera película 'Olvereños', Jan vuelve al tema de esa película: las pequeñas granjas familiares que tratan de sobrevivir bajo difíciles circunstancias. Hace 40 años muchos agricultores de la ciudad española de Olvera emigraron a los Países Bajos para buscar trabajo. La película fue incluida en varios proyectos escolares para informar a la gente sobre las razones que había detrás de ese flujo migratorio. En 1974 fue la persistente sequía en Andalucía lo que obligó a la gente a abandonar su país. Jan van den Berg’s films are mostly about human rights and the environment, but he also created important documentaries on culture, like El Abrazo (1990) about famous tango dancers in Buenos Aires, and the series Utrecht by the Sea on that city’s artists. 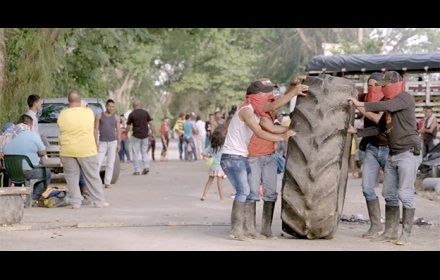 Forty years after recording his first film ‘Olvereños’, Jan returns to the topic of that film: small family farms which try to survive under almost impossible circumstances. At the time, many farmers from the Spanish city Olvera migrated to the Netherlands for work. 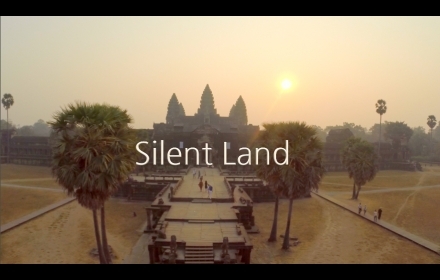 The film was included in several school projects to inform people about the reasons behind this migration flow. In 1974, it was the continuing drought in Andalusia that forced people to leave their country. Cánada, 2016. 76 min. Árabe, alemán, castellano. V.O.S.E. Tomorrow’s Power showcases three communities around the world and their responses to economic and environmental emergencies. In the war-torn, oil-rich Arauca province in Colombia, communities have been building a peace process from the bottom up. In Germany activists are pushing the country to fully divest from fossil-fuel extraction and complete its transition to renewable energy. In Gaza health practitioners are harnessing solar power to battle daily life-threatening energy blackouts in hospitals. Amy Miller is a media maker and social justice organizer based in Montréal. She recently directed and wrote the documentary No Land No Food No Life a hard-hitting film on the economy, agricultural land grabs and the changes to farmers’ lives around the world. She directed, wrote and produced the documentary The Carbon Rush, a global exposé on how carbon offset projects impact local peoples. The film has expanded to include an online interactive game as well as a book of essays and photos published by Red Deer Press (2013). She directed, wrote and produced the featurette documentary Myths for Profit: Canada’s Role In Industries of War and Peace that was screened thoroughly across Canada and at festivals including the Milano Film Festival, RIDM and The Bay Street Film Festival, where it won the Peoples Choice award. Her first documentary, Outside of EUrope, focuses on the exclusionary nature of immigration and border policies and continues to be screened around the world. She remains dedicated to developing critical documentaries for transformative social change and helping out grassroots campaigns for justice.